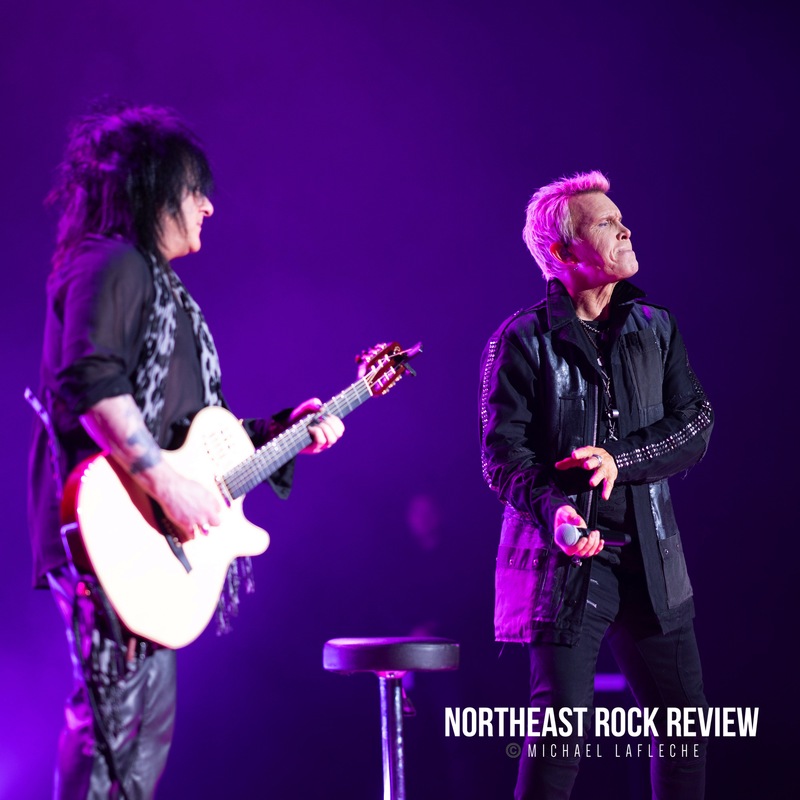 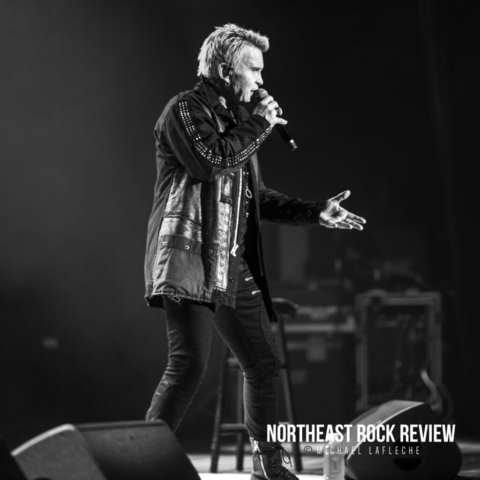 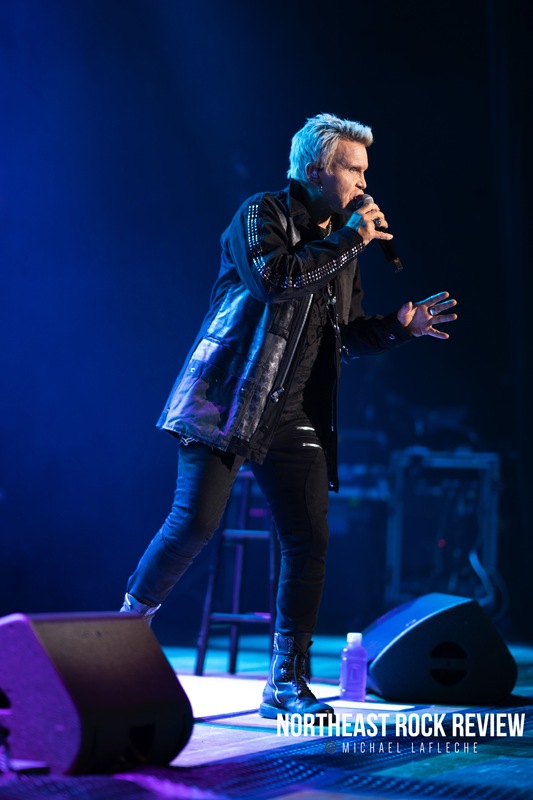 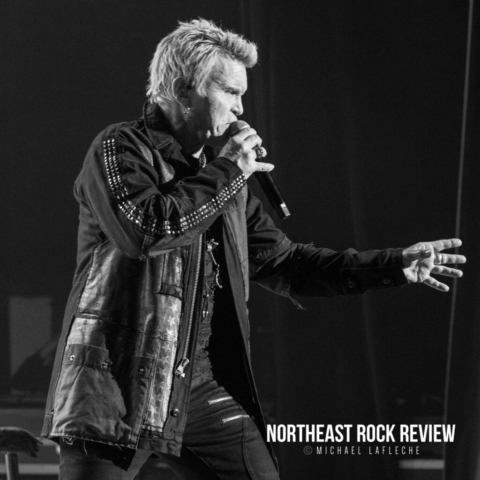 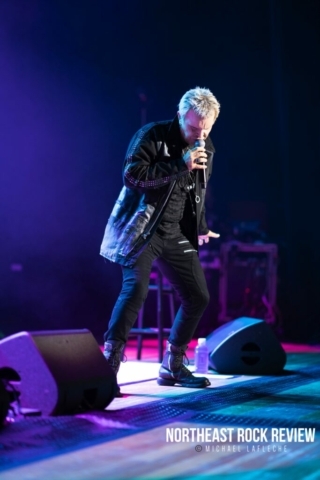 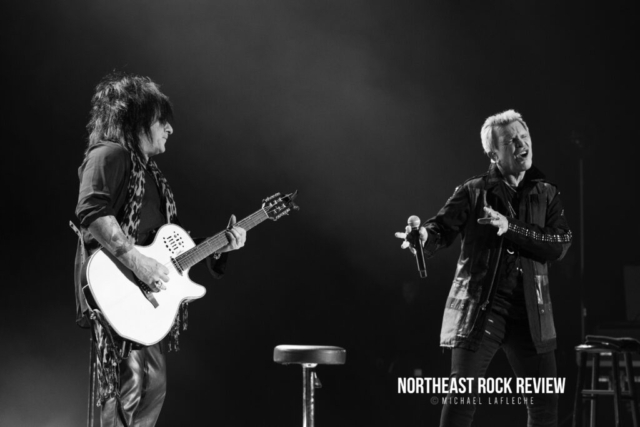 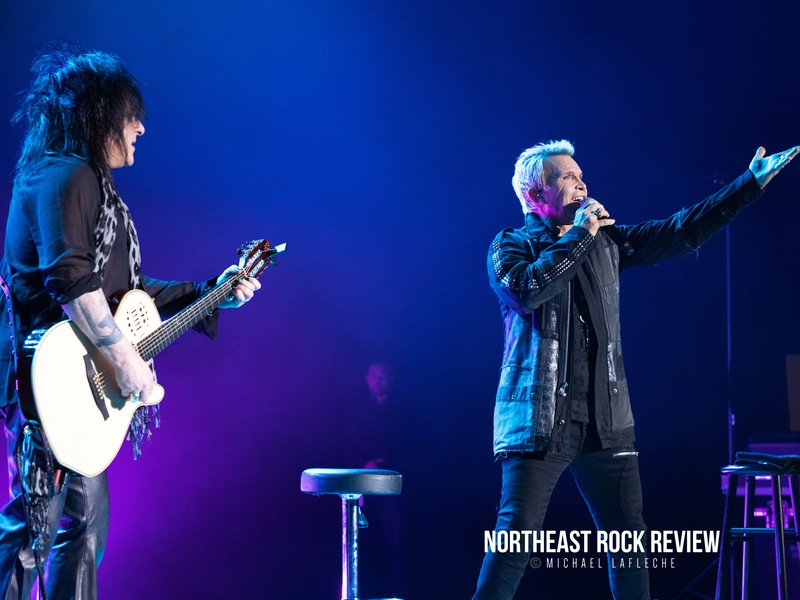 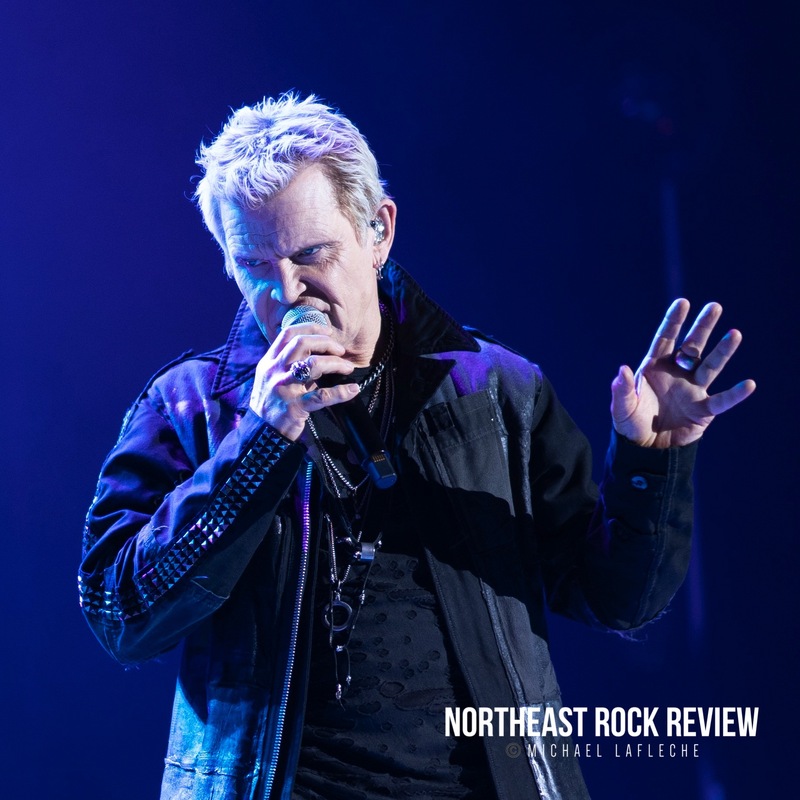 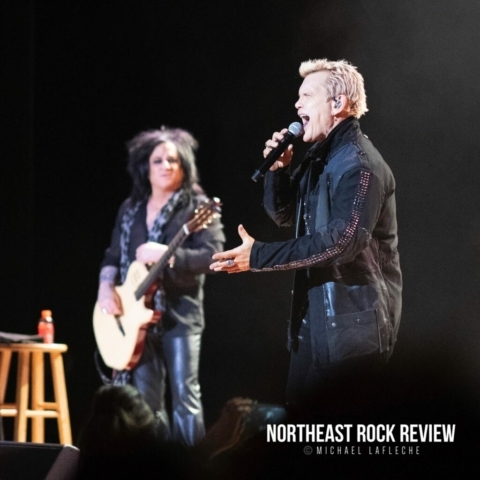 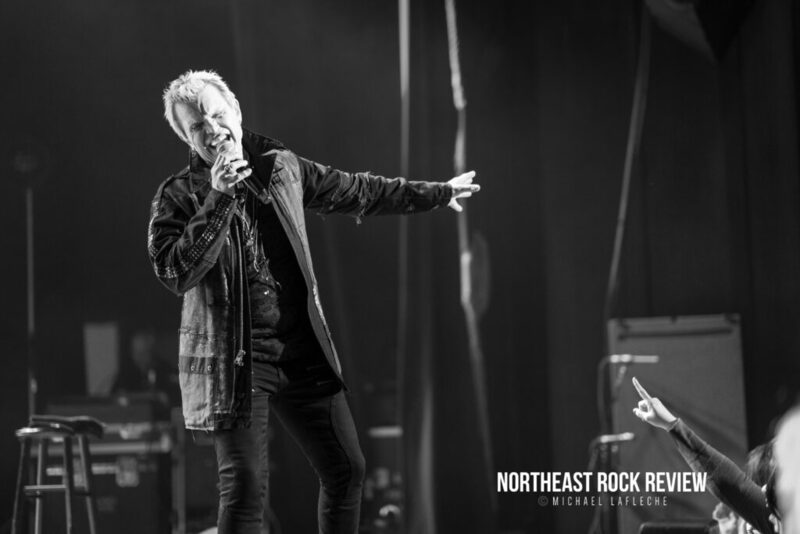 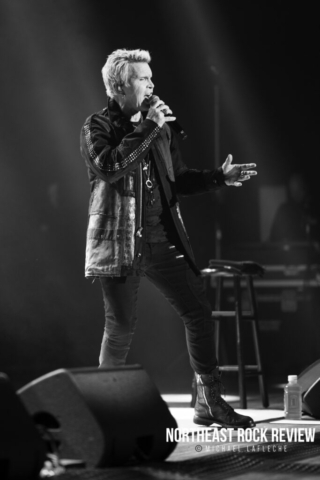 The city by the shore, Lynn, Massachusetts played host to rock legend Billy Idol and his longtime guitarist Steve Stevens. The tour has been going now for a couple months and is nearing its end, and the show was smooth and effortless. It was fascinating in that is was a hybrid of large amounts of storytelling interludes between some of the greatest rock songs that Billy was a part of or that Billy was inspired by. The stage was simple, two stools, one for Steve on his Electrified acoustic and One for Billy, which he rarely sat down at, as he performed hits like “Rebel Yell”, “White Wedding”, etc..
Billy reminded us that a number of songs even from the Rebel Yell album were written over acoustic or light electric guitar, so they come across perfectly in this setting. Some of the songs were accentuated with a drum machine in the background or backed with pleasing harmonies on keyboards. For the most moving and poignant portion of the evening, One that remains top of mind was about his dad who was a World War II vet, staying in touch with his son, his music and the music scene. 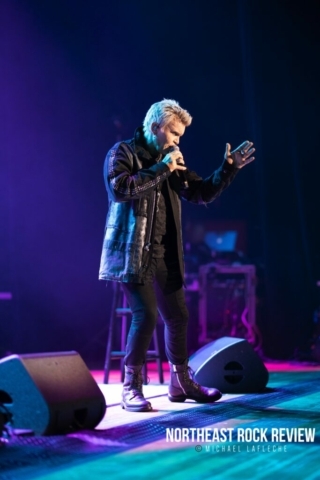 His direct care of his dad through some of the ordeals that we all go through later in life like hip replacement surgeries and illnesses reminded the audience how to live life. 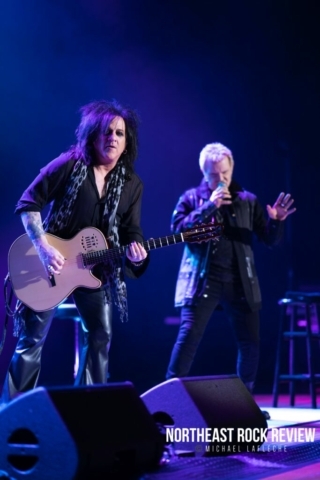 His dad actually passed on to his song in hospice care, “Ghost in My Guitar”. 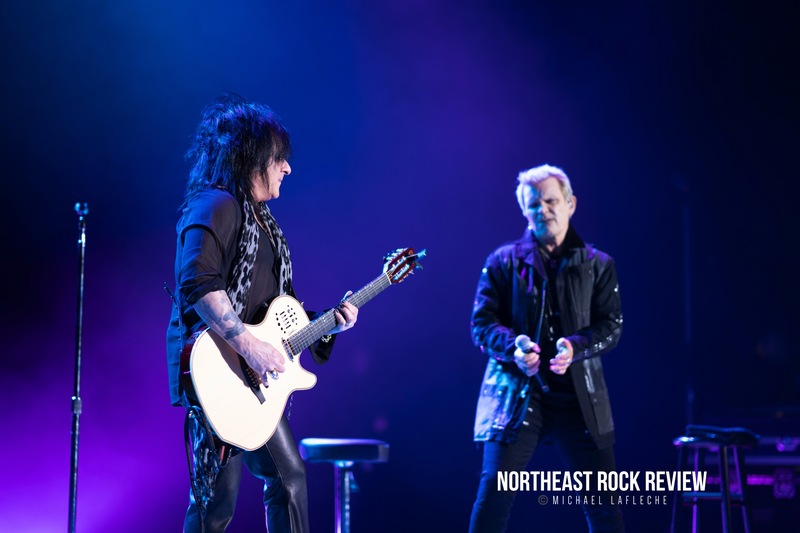 Steve Stevens was not the only one handing out stories like candy. 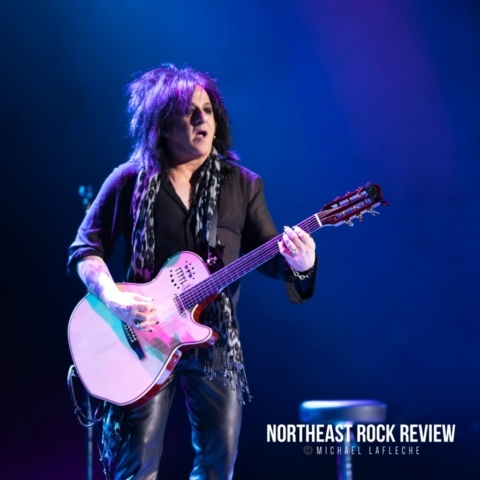 Stevens explained that he was raised in Queens, New York and how he came into the music scene, through music classes in school in the morning and skipping out on the academics in the afternoon. 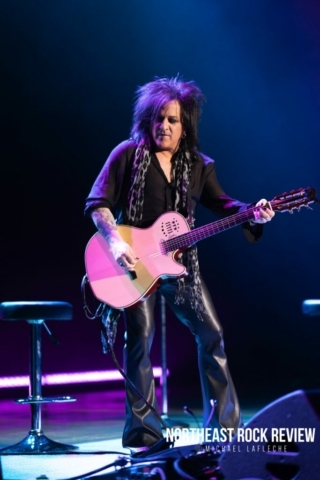 But the story of the famous “‘68 Elvis comeback special” on TV played a huge role in Steve’s guitar focused development. 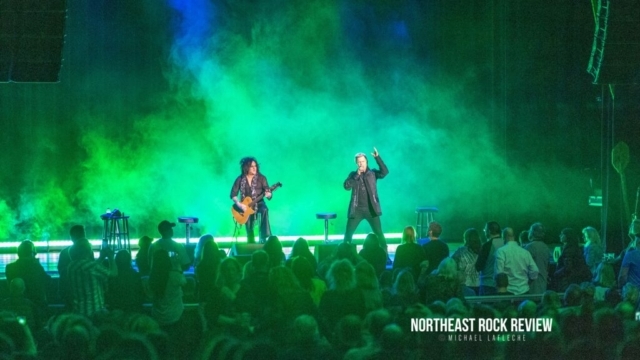 He saw how the great guitarist on stage got to hang out with Elvis. 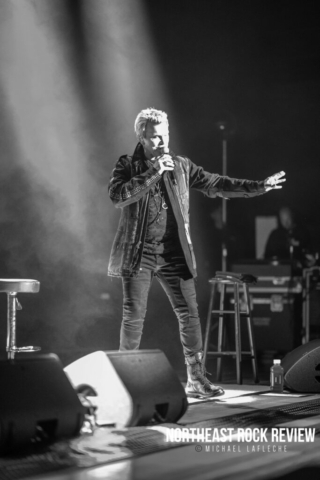 He then knew that this was the job he wanted. 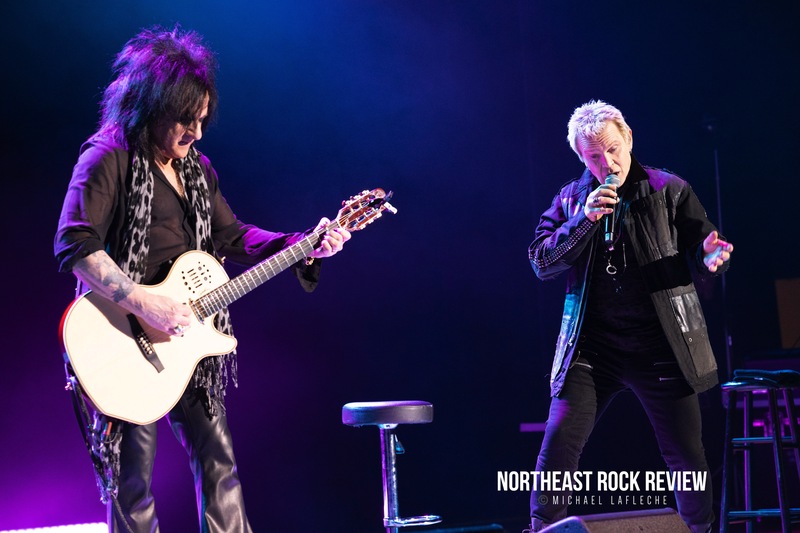 He met the British Punk version of Elvis, Billy Idol and played the Lou Reed track “Coney Island Baby” for Billy and 37 yrs later, they are still playing together. It wasn’t all talk. Songs like “Eyes Without A Face” with vocal sound effects by Billy some actually amplified electric distortion by Stevens were heard. 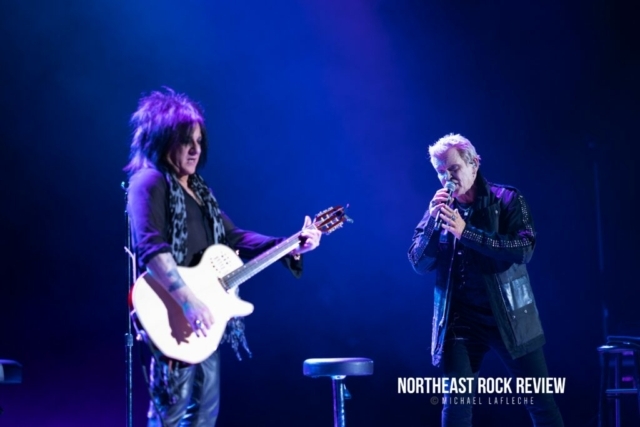 Stevens had an epic guitar solo, playing faster than I’ve ever heard an acoustic played on a 12 string, which seemed very Steve Howe of Yes fame inspired. 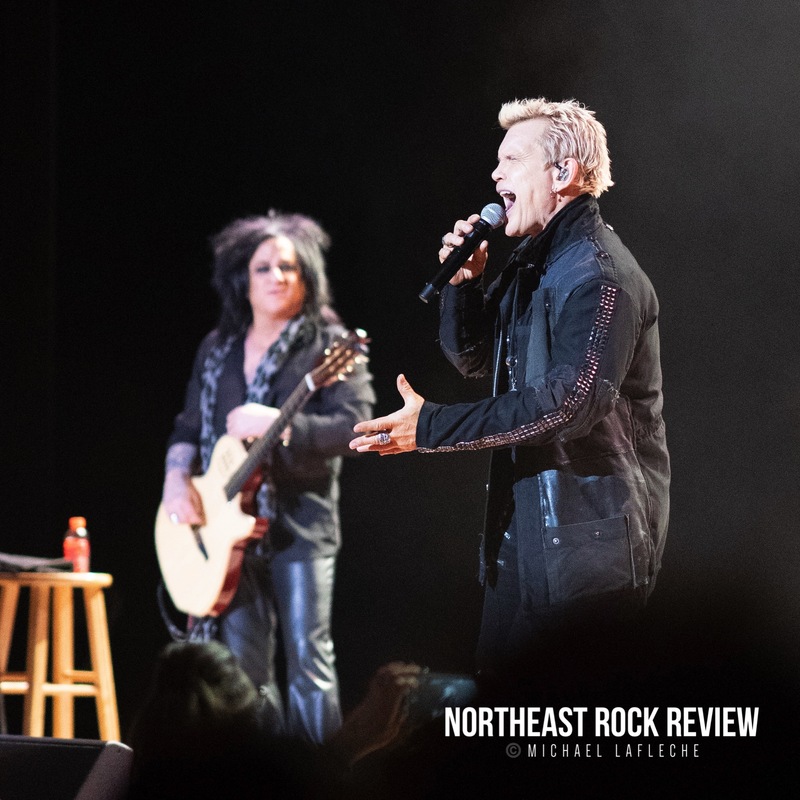 The show nearing a close went on with “Don’t Need a Gun”, “To Be a Lover” and of course “Rebel Yell”, with an encore performance including “White Wedding” and “Shake all Over”.